Serpent & Bow is Love and Magic born from the studio of Rachel Blodgett. 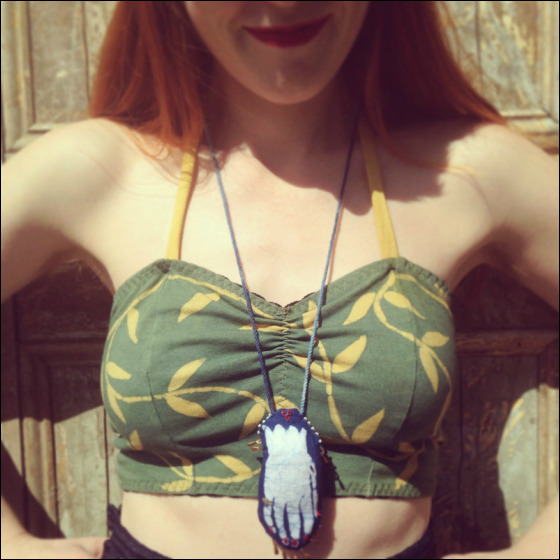 Working with hand-carved imagery, Botanical dyes, Indigo, beeswax batik, and natural fibers, Rachel creates handmade lingerie and ritual garments that honor the connection between Body and Spirit, serving as talismans of courage, liberty, and the life-sustaining power of hope. via @serpentandbow. To enter an order queue, please contact us at hello@serpent-and-bow.com .